How to configure multiple IP addresses on Huawei devices? Let’s configure a pair of routers connected via a Gigabit Ethernet link and use four different logical networks. 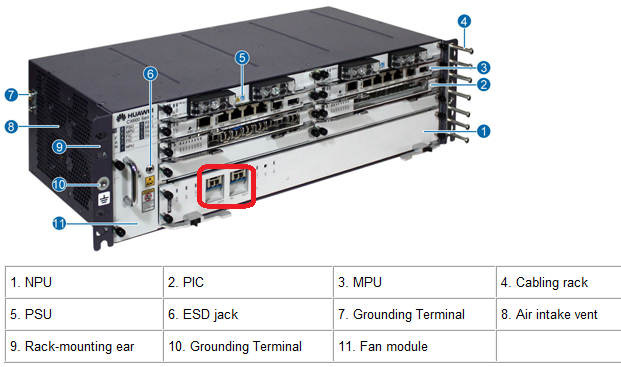 We can bring up a subject of 10GE interfaces on Huawei CX600-X1-X2 platform. The short subject but can be useful. Take it easy. You will know how to investigate such issue on Huawei router. As you can see there are “TTL exceeded” packets. “Display ip statistics” command shows packets that are directed to CPU. Don’t mix it up with packets found on the interface. For example, you don’t have dropped packets on the interface but “display ip statistics” shows such packets.